Letting Dad know your heartfelt appreciation on Father’s Day has been celebrated since back in the Middle Ages, when it was observed on March 19th. Around 1500, Franciscans began celebrating it on the feast day of St. Joseph. While the Spanish and Portuguese brought the tradition to the Americas in the 17th century, it was not officially celebrated in the U.S. until 1924 when President Calvin Coolidge recommended it be observed. President Lyndon Johnson proclaimed it a holiday in 1966, designating the 3rd Sunday in June. But, it wasn’t until 1972 that President Richard Nixon signed it into law as a permanent U.S. holiday! [Source: Wikipedia] Typically, it is celebrated with cards, flowers and special meals and foods, as well as expressions of love and appreciation. 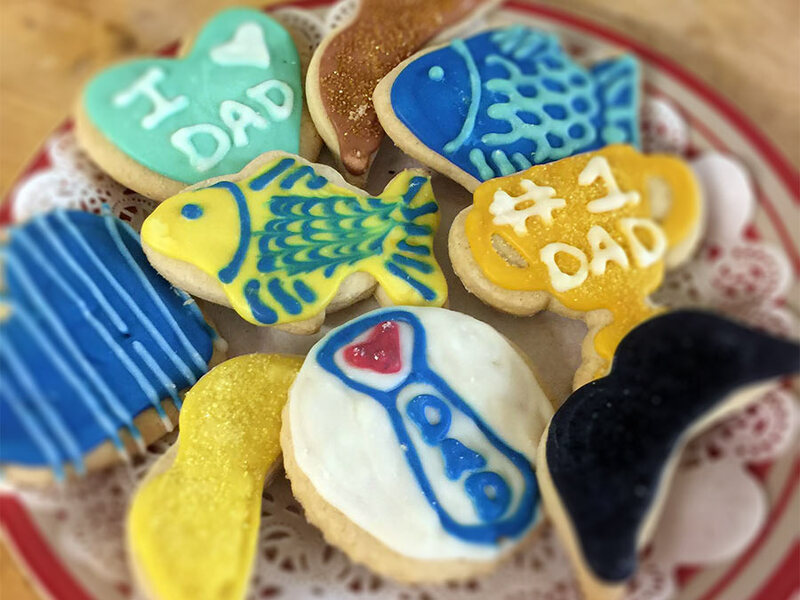 Come in to Nino’s Bakery & Restaurant for a special Father’s Day breakfast – or pick up some of the specially decorated cookies to make Dad’s day. The cookies are baked fresh daily now – breakfast and lunch on Sunday, the 17th will be served from 7AM to 2 PM.